Since our apartment is still with regards to interior more like a bunker than a home, we decided to eat breakfast at Amrita Veg. This is upma, something my Finnish palate would describe as a mix between mashed potatoes and couscous, pleasantly seasoned. 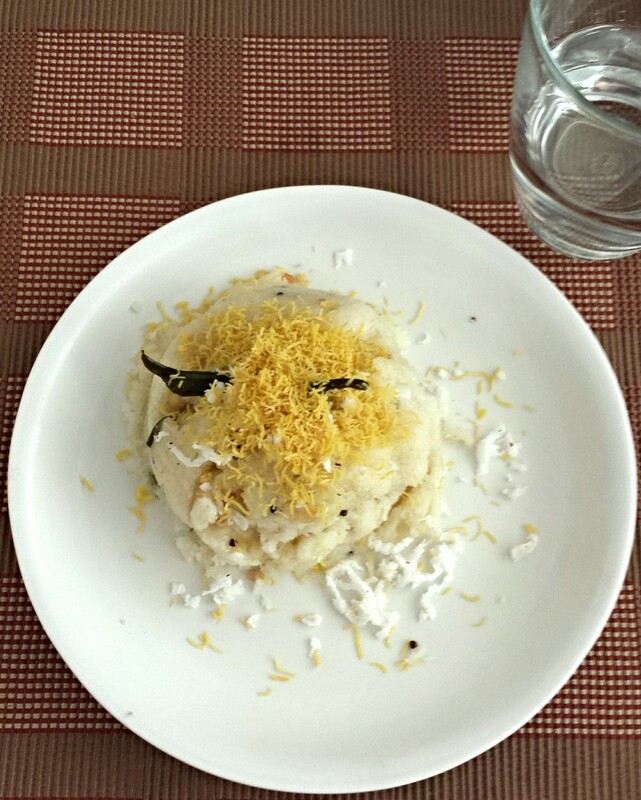 Shredded coconut on the sides, bhujia on top. A bit spicy, especially as breakfast but something I can get used to. Very good.